In noting that the actions of entities other than states in the economic arena can and often do have a profound effect on human rights, this book poses the question as to how international human rights law can and should address that situation. This book takes three very different categories of international actor – the World Trade Organization, the international financial institutions (World Bank and IMF) and multinational enterprises – and analyses the interaction of each category with human rights, in each case analysing the interaction of the different fields of law and seeking to identify a role for international human rights law. 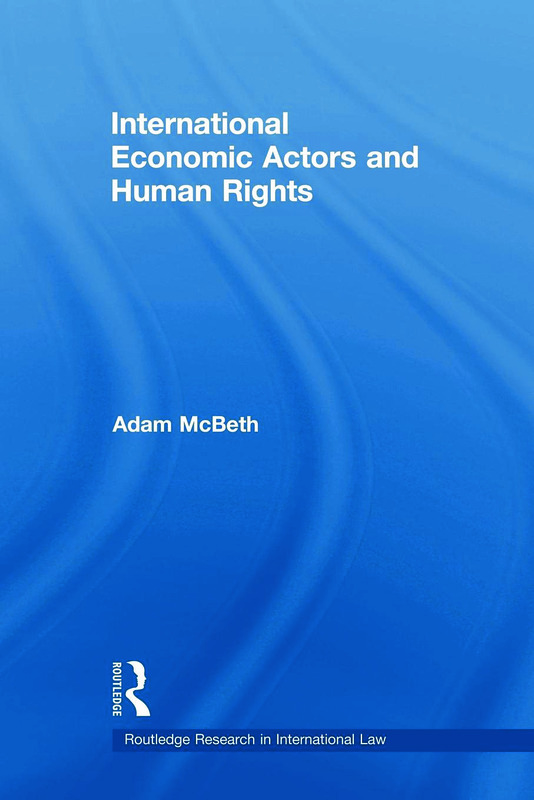 Adam McBeth concludes that each of the selected international economic actors can and should be considered to operate within a holistic system of international law, including human rights obligations, but that changes in the operations and the accountability mechanisms for each actor are necessary for the practical implementation of that approach. While written from a human rights perspective, the underlying theme of the book is one of engagement and harmonisation rather than condemnation. It provides valuable insight for those who approach this topic from a background of international trade law, commercial law or general international law, just as much as those who have a human rights background. International Economic Actors and Human Rights will be of great interest to those studying or working in any field of international economic law, as well as human rights scholars and practitioners.